It was John Lennon who played harmonica for the Beatles on songs Love me do, Please please me, Chains, From me to you, There's a place, (Twist&Shout) Thank you girl, I'll get you, (The second Album). Littlechild, (Beatlemania). I'm a loser, (Beatles'65). I remember you, (The lost Hamburg tapes). 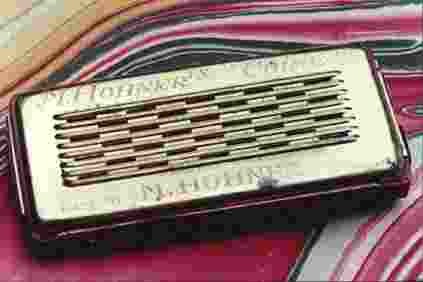 This harmonica was another part of Beatle-mania, made by Hohner. 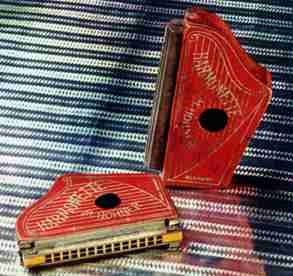 Harmonica & box on a pictured display card . 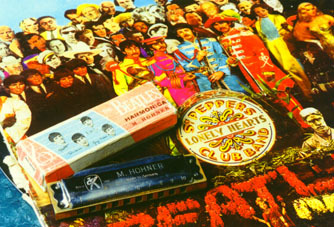 Each kit contained two top Beatle song hits, a basic harmonica instruction chart and a signed photograph. Only the box has "The Beatles faces on it." 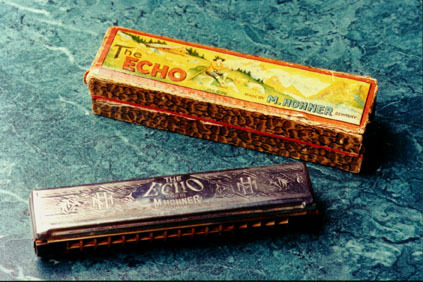 The Harmonica is a generic Hohner. Canadian Ace - Fr.Hotz. Lengh 4 inches,10 single holes,20 reeds, brassed plates. Convex covers finely nickel-plated with open back. Each instument contained in a hinged box. 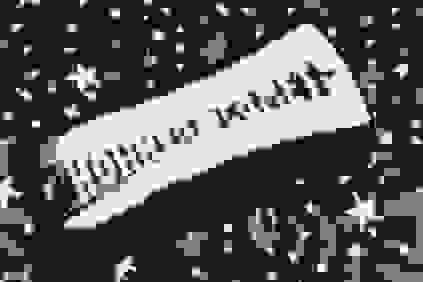 1960's. 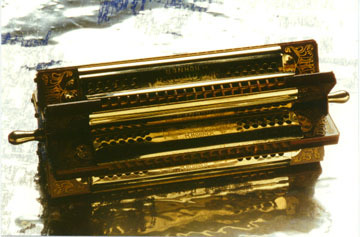 Doerfel Harp - early 1900's - Doerfel's International . 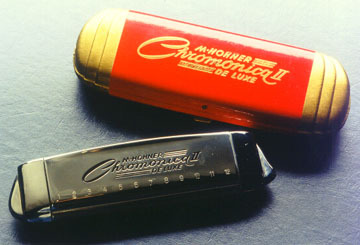 Harmonica with celluloid shell. 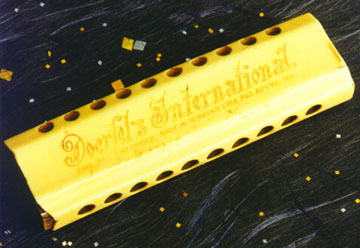 The celebrated Doerfel's International concert system. Justly famous for the general excellence of it's make and the remarkable purity and harmony and tone. 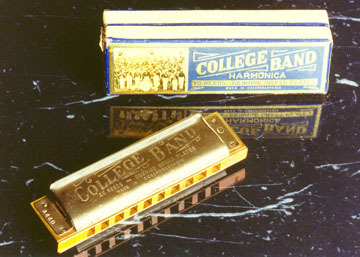 Has ten holes; forty best reeds; brass reed plates and a especially desirable feature, the celluloid case,which adds not only tone but also to the ease of playing. Price,each .45 per dozen $4.75. 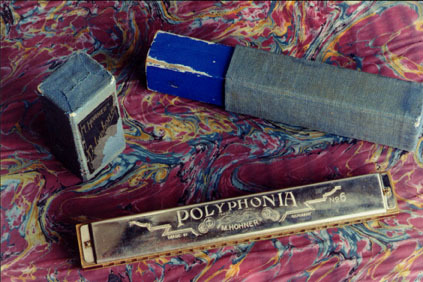 Polyphonia - No.6 M. Hohner ,Length 8 3/8, 25 double holes, 50 reeds. Length 4 5/8 inches. 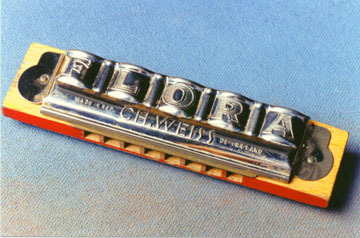 A decidedly novel and practical instrument comprising a Harmonica with 14 double holes, 28 reeds, octave tuning, tremolo style, brass plates, finely nickel-plated covers. 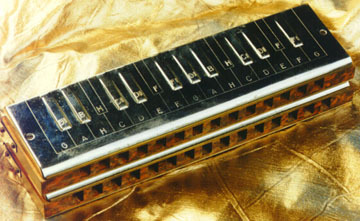 To the Harmonica is attached a harp-shaped resonator or sound box of thoroughly seasoned wood in mohogany, ebony or bird's eye maple finish, bearing silver impressions. Reinforced with metal back finely nickel plated. Packed in durable telescope container with silver lettering. Only in keys "A,""C," and "G."
Shipping wt.,3/4 pound. price 83 cents each. 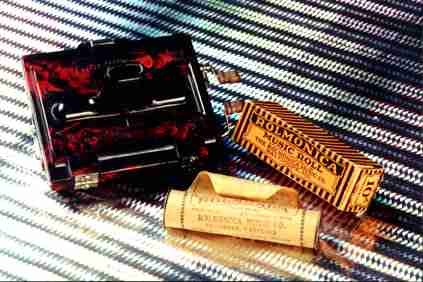 Rollmonica - Automatic harmonica that plays a music roll just like a player piano. All you have to do is insert a roll and turn the handle while you blow; rolls were made in over 200 songs ($1.50 each) Complete with one roll,1925. and turned in ends. Packed in fancy hinged box with approriate design in six different colors. Available in all keys.1924 - 1938. Length 7 inches. 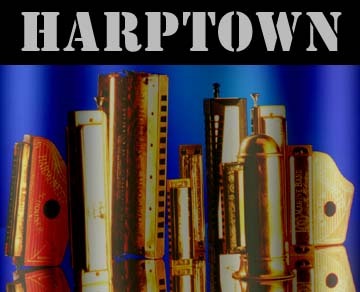 This double sided instrument introduces a new art in cover designing. Original and distinctive. 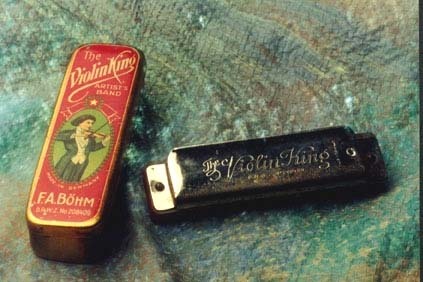 Octave tuning, tremolo style, two different keys. 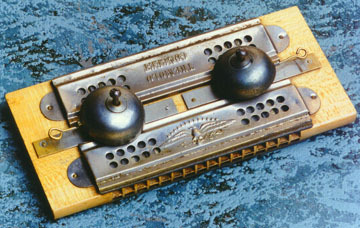 32 double holes, 64 reeds, brass plates. Brass covers die-stamped in bold relief, extension ends in ebony finish with artistic gold stamping. In highly attractive hinged container embelished with lettering and figures in gold embossing. Avilable in key combinations "A-D" and "C-G."Dozen. $30.00 .Also known as the Oriental Beauty. 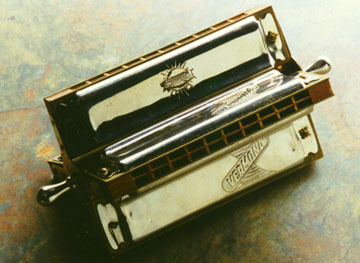 TuckAway - M Hohner, 10 single holes, 20 reeds, brass plates form a complete housing to cover harmonica holes while not in use. 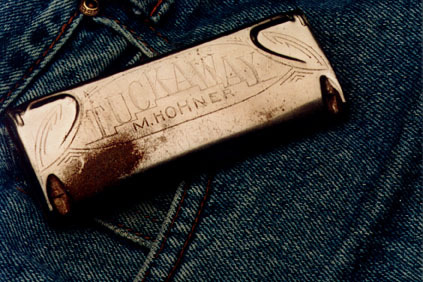 A slight pressure on the corners automatically brings the harmonica into playing position,1929 -1931. 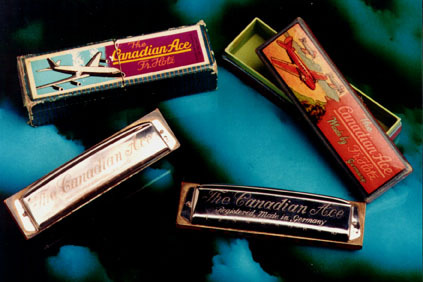 From over 100 years, ago these harmonicas are a piece of history. Perhaps the older ones could have been on the Titantic alongside amazing flower arrangements. Avas Flowers has flower arrangements and bouquets for any occasion. Avas has a personal commitment to their customers to insure their satisfaction.